Xinet is a leading developer of network server software for digital asset management for prepress, printing, and publishing. The logo uses a restaurant server as a metaphor for network file serving software which is compatible with a variety of media. 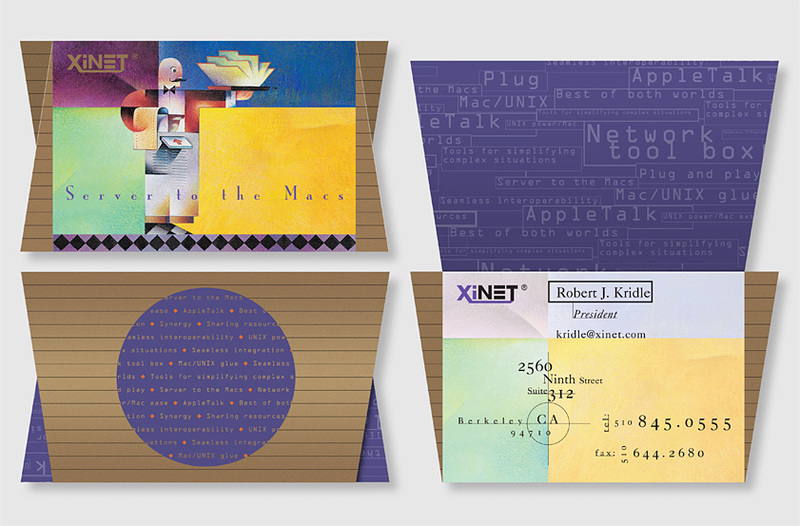 The stationery system’s technical complexity was designed to showcase the state-of-the-art printing techniques enabled by Xinet software and resonate with the firm’s printing-oriented audience. Our solution uses a unique cropmark-inspired typographic system on each element to symbolize print production. The stationery’s angled edge and envelope flap reference the product’s proprietary trapezoidal packaging. 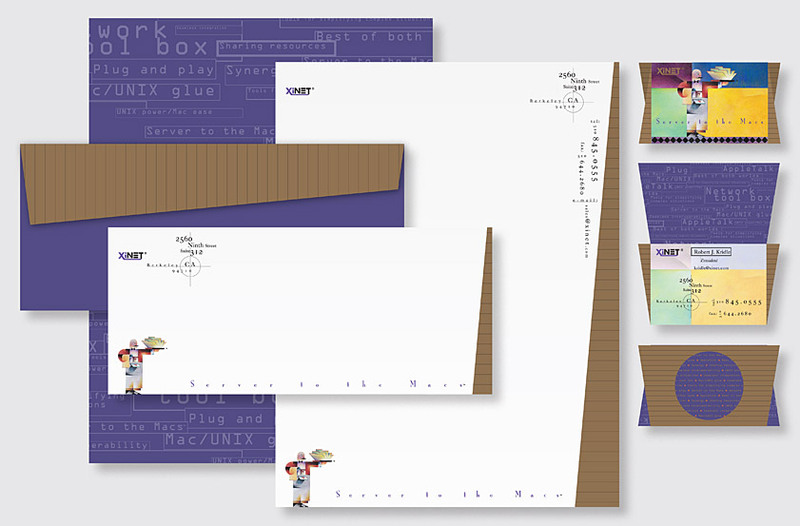 The business card’s die-cut X-shape evokes the company name and reflects its cutting-edge technology.